Find the right product for your needs. Use the search function according to the product code, the industry, the application or the materials to be bonded. 3M™. Permanent double-sided sheet tape with double liner, high cohesion. Guarantees long-lasting bonding, exceptional adhesion to metal and HSE plastics. Initial repositioning for precision placement when bonding to plastic. Excellent resistance to solvents, excellent shear strength to prevent slippage and edge curling. Smooth adhesive for a uniform graphic look. 3M™. Permanent double-sided sheet tape with double liner, high cohesion. Guarantees long-lasting bonding, excellent adhesion to LSE plastics. Excellent resistance to solvents, excellent shear strength to prevent slippage and edge curling. Smooth adhesive for a uniform graphic look. Permanent double-sided sheet tape with double liner, medium cohesion. Particularly suitable for the paper products industry thanks to the easily punched double liner. 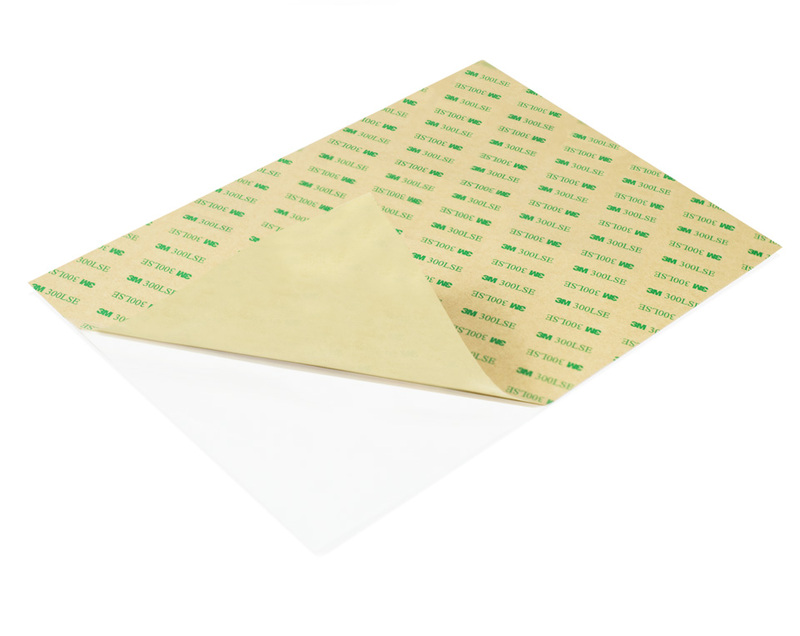 Permanent double-sided cardboard tape sheets, water-based acrylic adhesive. Printable support. Permanent double-sided sheet tape, water-based acrylic adhesive. The entire world of Prades on Social Media. Stay in touch. For over thirty years, we have been synonymous with professionalism in the field of industrial applications of double sided tapes.